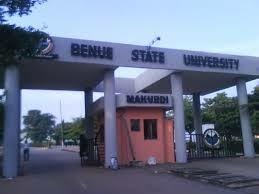 Benue State University, Makurdi, BSUM School of Postgraduate Studies Admission List for 2017/2018 Academic Session Out. This is to inform all candidates who applied for admission into the Postgraduate Programmes of Benue State University for the 2017/2018 academic session that the list of successful candidates has been released. Visit the BSUM admission status checking portal via http://portal.bsum.edu.ng/checkAdmission.jsp. Enter application number in the required column. Click on submit to access your admission status.